For our Palm Wax, we only use Palm Oil from sustainable, ecological responsible tree farms. 100% Palm Wax Tapers do not bend or drip unlike most other tapers, made of paraffin (a petroleum product) or beeswax. 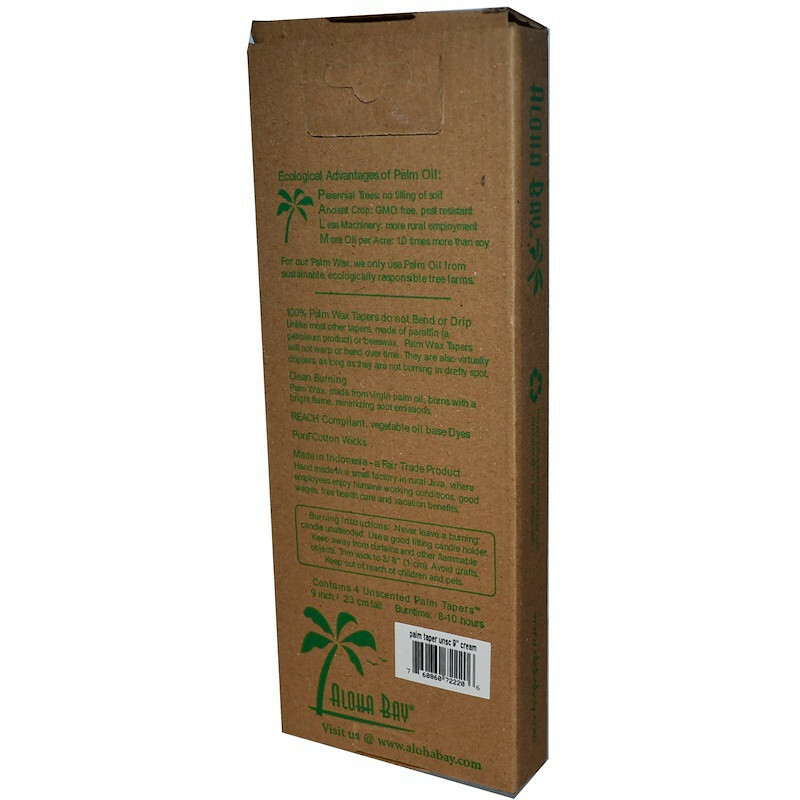 Palm Wax Tapers will not warp or bend over time. They are also virtually dripless, as long as they are not burning in drafty spot. 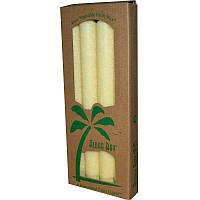 Palm Wax, made from virgin palm oil, burns with a bright flame, minimizing soot emissions. Burning Instructions: Never leave a burning candle unattended. Use a good fitting candle holder. Keep away for curtains and other flammable objects. Trim wick to 3/8" (1 cm). Avoid drafts. Keep out of reach of children and pets. Достигайте соответствия, красители растительного масла.